The graphic below is a follow-up to Ingredients of an All-Natural Banana. To make these graphics, I calculated the percentage composition of all the interesting ingredients and wrote an “ingredients” label for each fruit using E-numbers where they exist. 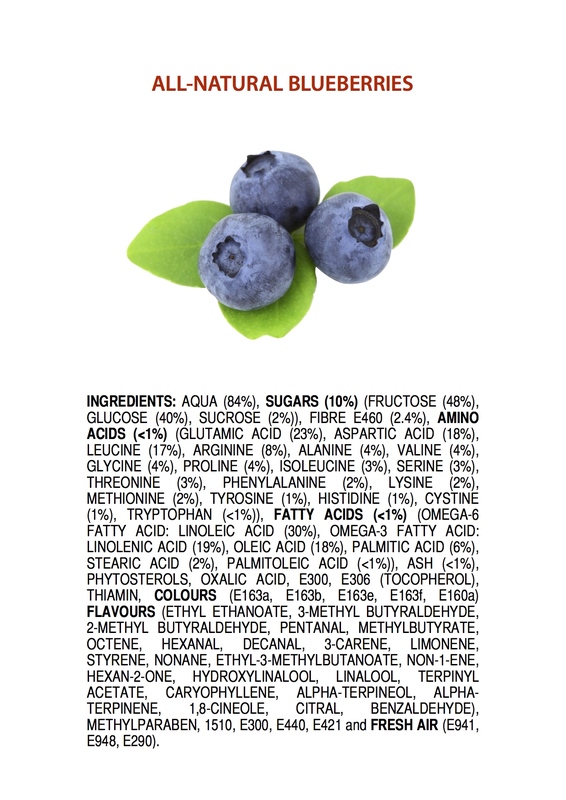 Anthocynanins, which are said to give blueberries their “superfood” status, are also known as E163, for example. 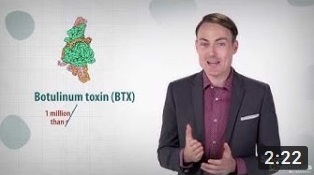 As a Chemistry teacher, I want to erode the fear that many people have of “chemicals”, and demonstrate that nature evolves compounds, mechanisms and structures far more complicated and unpredictable than anything we can produce in the lab. Enjoy! I like the “fresh air” at the end. Nitrogen is E941, Oxygen is E948 and Carbon Dioxide is E290. (Argon, which comprises about 1% of the air we breathe, also has its own E-number: E938.) Thousands of minority ingredients including DNA have been omitted for brevity’s sake. Butylated hydroxytoluene is a preservative! Oh em gee! That is a mistake, it is a synthetic preservative. Good point. Reminds me of the survey in which many Americans said they “wouldn’t eat a tomato with DNA in it”! I ate a lot of Tomatoes growing up in US of A. Never hurt Da was ahead of his time no pesticides used peppers in between and other plants seemed to work , DNA is is all living things or even dead , i thought . I am just a person trying to learn more all the time . I do know that the riper the Banana more glucose and if you get one that is just been picked sometimes scraping it after peeling helps, especially if one is sick. Just a Grandmother who use to do all my own preserving of food . Plus i worked full time was nice though. Very cool image. I love stuff like this. Can you answer a noob question though? Why do the percentages add up over 100%? I never took chemistry in school, so the answer might be over my head, but I am very curious! Rounding. 5.5 + 4.5 = 10.0 but if we round all the numbers to whole numbers, we get “6 + 5 = 10”. I hope this helps. Fantastic stuff for amateur chemistry fans! Well done. Amateur? Seems a bit passive aggressive. “Amateur chemistry fans” == people like me. Congratulations on an excellent execution of a clever idea. Would you consider providing references for these figures? You have a mixed up link in this post (“all-natural banana” goes to “esters and their smells”). Thanks for pointing that out! I’ve corrected the link. And the references are: (1) nutritiondata.self.com for the fats, carbohydrates, water, amino acids and ash; (2) botany books for the colours and preservatives; and (3) peer-reviewed journal articles of GC/MS analyses for the flavour compounds at the end. I converted any applicable compounds into their E-number names using food.gov.uk. Thank you for getting back to me. My initial thought is that a footnote at the end of these posts with a list of references would be nice, but I suppose it’s not necessary. Anyway, keep up the good work! Please forgive my chemistry ignorance… which of the blueberry references is the source for the methylparaben component? I’m trying to find a definitive source for blueberries containing this paraben and am coming up empty. I’ve spent some time on PubChem and learned to look for “Methyl p-hydroxybenzoate” as well, but still cannot find anything. Pingback: Vem är rädd för blåbären? Because most readers are absent of general chemistry knowledge, decimal digits “rounding” and “E-numbers” definitions knowledge should be kindergarten-level stated from an author’s repeat source, definitions dictionary, and commonly included where appropriately expedient.